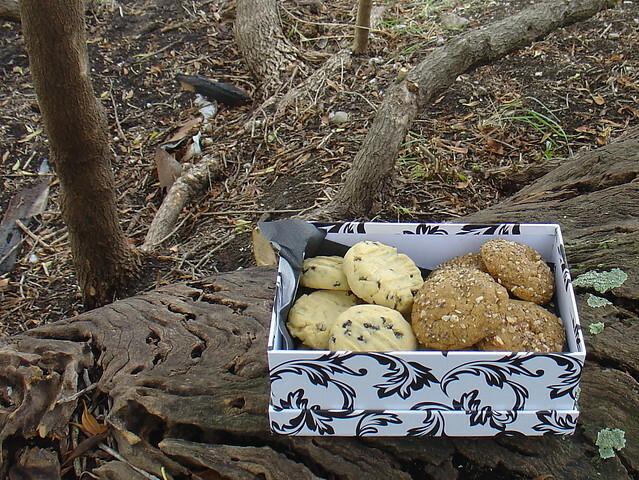 A classic New Zealand biscuit (or cookie) is the Kiwi Biscuit, also known as a Highlander Biscuit after the brand of sweetened condensed milk that flavours these yummy cookies. 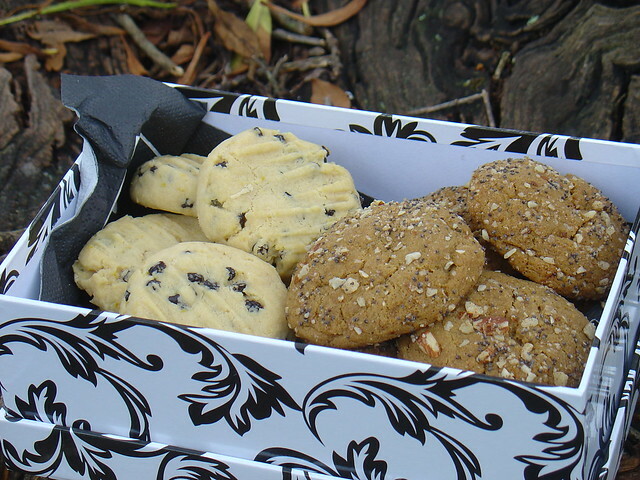 There are many different recipes out in the world for Kiwi Biscuits and each has a little tweak according to each baker’s preferences – a little more butter, a little less sugar, twice as many chocolate chips….. The interesting thing about Kiwi Biscuits is that when I make them they turn out quite different to when The Anster makes them. And Miss M’s Kiwi Biscuits are different again and yet we each follow the exact same recipe. It all comes down to how generous we are with the sweetened condensed milk. I have converted the recipe from cups and spoon measures to weights so I get the same result each time (and, of course, I think my biscuits are the best ones). Anyhow, this post isn’t about Kiwi biscuits but a biscuit/cookie that is inspired by the Kiwi Biscuit recipe. Note that this recipe dates back to the days before my daughter was diagnosed with a dairy intolerance. I haven’t yet come up with an acceptable butter substitute for biscuit/cookie recipes that require creaming butter & sugar together. The lemon & currant flavour is inspired by the Russian Slice that my Grandma often made – a caramel & currant slice drizzled with lemon icing. I think it is an old Edmonds recipe and if anyone has a copy of it, I’d love to make it again. As for these biscuits, if you don’t have currants, try raisins or sultanas instead. You can also use craisins (dried cranberries), chopped dried dates or apricots, or you can use white chocolate chips (actually any chocolate chips will work). Scrape down sides of the bowl then beat in condensed milk and lemon juice. Sift in flour and baking powder, add currants and zest and stir until the mixture is combined. 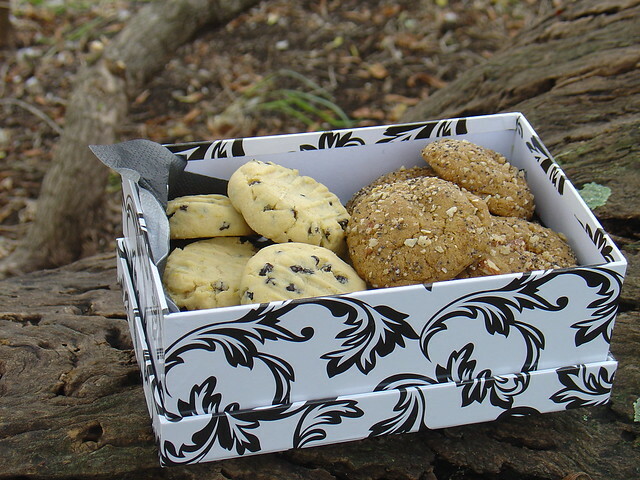 Scoop mixture and roll into a ball – use 1 heaped teaspoon for smaller biscuits, or a tablespoon for large cookies. Place on a greased and lined tray allowing room for them to spread. Bake 12-15 minutes at 180ºC (cook until golden for a crunchier biscuit). Makes about 30 medium-sized biscuits. 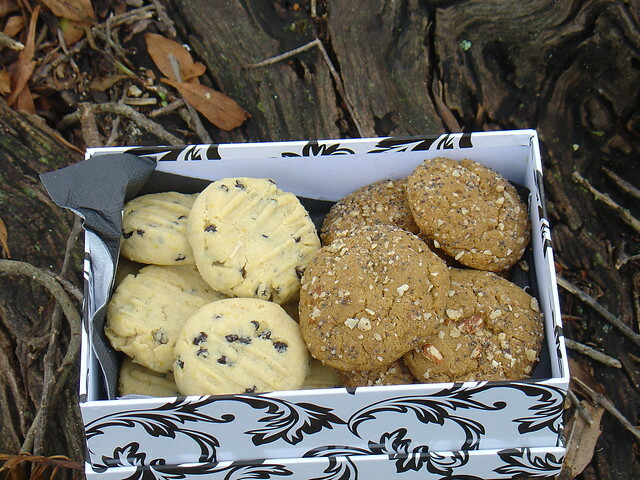 This entry was posted in Biscuits & Cookies and tagged biscuits, cookies, Highlander Biscuits, Kiwi Biscuits, Savour by Jo Dohrman. Bookmark the permalink.